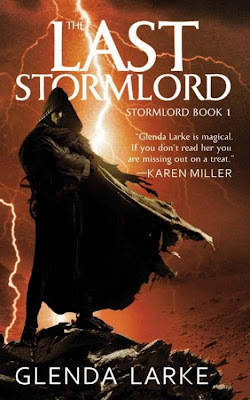 Source: Info in the About The Last Stormlord was taken from GoodReads at http://www.goodreads.com/book/show/6765788 on 01/05/2011. 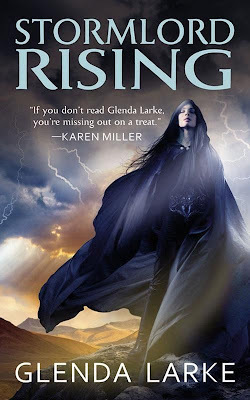 Shale Flint is forced to help the devious rainlord, Taquar Sardonyx, in his quest to create rain - even though Taquar′s lust for power threatens to consume all that stands in his path. Terelle leaves the Scarpen with her great-grandfather, Russet ... his painting of her future has trapped her into doing his will. Obsessed with regaining his status as a Watergiver lord in his homeland, it seems that Russet will go to any lengths to attain his goal. Meanwhile, Ryka Feldspar has been captured and taken as a concubine by a Reduner tribemaster. Desperate to escape, she discovers her Rainlord husband, Kaneth, in the slave lines ... but, to Ryka′s despair, he has no memories of their time together. Source: Info in the About Stormlord Rising was taken from GoodReads at http://www.goodreads.com/book/show/7812372-stormlord-rising on 01/05/2011. 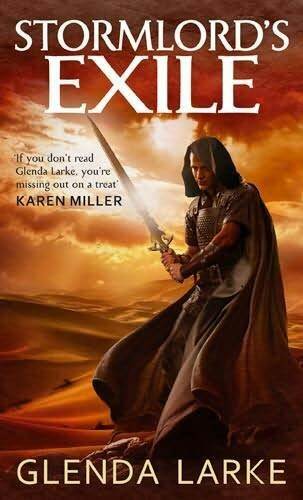 Source: Info in the About The Stormlord's Exile was taken from the author's website at http://glendalarke.com/books/watergivers/stormlords_exile on 01/05/2011.